Ended with several reprises of the song's signature lick in a mock duel fashion between Trey and Page. This gig featured the Phish debuts of Back on the Train and Bug as well as the debut of My Left Toe. Trey teased Super Bad in Tube. Maze contained a Can't Turn You Loose tease from Page, a Bathtub Gin tease from Trey, and ended with several reprises of the song’s signature lick in a mock duel fashion between Trey and Page. A revised stage setup debuted at this show with Page, Mike and Trey aligned from front left to right and Fish to rear center. This is the Phish sound I love. They come out after a rain shower in GIN, this one starts out slow and then Trey just adds layer of layer of gooey, stringy texture to the song. It is that 1999 tone that is so beautiful and thick. The song winds down, and the band plays a few newer numbers, very patiently, with some odd noises in the dead air between the songs, like new toys being sounded out. The Maze is amazing, not a raging one, but a beautiful expose on tension and release, complete with a bathtub gin jam. Set II gets off to a great start with Coil > Free. This Free needs to be heard to be believed. 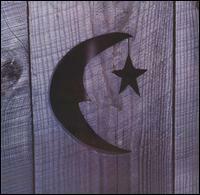 Like the version on 7-31-98, this groove is THICK. 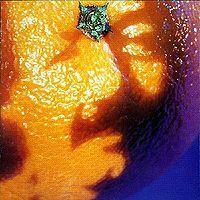 Also of note in set II is the debut of Bug and My Left Toe, an ambient masterpiece that sounds so good slicing through the Kansas sky. Check this show out when you have some time to sit down and listen closely, it will be rewarding. The Bonner Springs, Kansas show opens with a BANG! 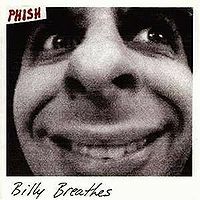 A huge Bathtub Gin with full band exploration and an ambient jam that enveloped the venue in a haze of mixed rhythmic signatures, gorgeous varied loops, and beautiful themes from Trey on guitar and Page on the baby grand piano. 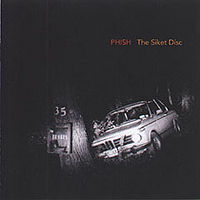 This Bathtub Gin ambient jam never goes fully off the edge of the world into polyphonic disarray, but seems to bridge the melodic jams Phish is known for crafting through its live improvisation with the new backdrop of fuzz, feedback and "wall of sound" alien effects from Page. The last 7 minutes of this Gin Jam are truly mesmerizing. Standard set filler gets us to a strong Maze with Trey using his drone based feedback loop to build the transitions and backdrops throughout the song. A nice touch using this new ambient style, but no full blown out jam. The Limb X Limb that followed Maze has a lovely melodic jam with some beautiful solo work through the jam and back into the coda. Quite lovely touches by Page and Trey at the end of this nearly 12 minute LXL, but nothing remotely close to the ambience of the Bathtub Gin opener. Opening with a Squirming Coil seems a bit strange, but was clearly meant as a warmup for what was to become a set full of the band's new ideas into sonic exploration. 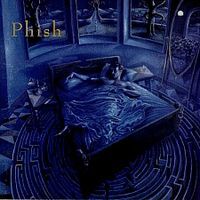 The end of the Squirming Coil piano solo culminates with a feedback buildup and the sonic texturing that Trey had been using throughout transitions in the first set. The buildup bled into a monster Free that carries the same feedback touches throughout the intro as Trey pushed the band to carry that new spark throughout the set. The superb Free jam that emerged found Gordon and Fishman providing a strong backbone and beat for Trey's droning and feedback loops on top of Page's alien landscapes. While the bass and drums steer the beat away from complete ambient bliss, the work of Trey and Page to pull the psychedelic backdrop to the forefront creates a Free jam that is jaw dropping. The set rolls on through a seque-fest of Birds of a Feather > Simple > Swept Away > Steep > Piper with various ambient flourishes to carry the torch until unleashing the first ever My Left Toe. 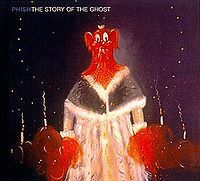 This 9+ minute MLT (a track originally recorded at 4min 47sec) is a gorgeous ambient musical display which Phish crafts with reckless abandon and intense precision. A culmination of three years worth of work on the Siket Disc, and finally an opportunity to display this new masterpiece has resulted in near perfection. While vastly different than any song publicly played by Phish in the past (at least any song with an actual name), MLT evokes amazing images and emotions in a musical onslaught to every nerve and every synapse. It both attacks you and lifts you floating to the heavens. 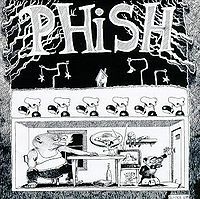 At the time, many Phans were unsure what to make of this new style and direction, but upon further review it is clear that Phish was developing a genre perfected by bands like Radiohead years later. Listening to the show again on Phishtracks.com, it is evident by the crowd reaction that Phans are blown away by the new song and an almost unheard of late second set stunned silence falls over the crowd... Page breaks the silence to announce unceremoniously, "that was the first song off our new album, it's called My Left Toe." A nice Stash with a slightly ambient jam at the end closes out the show, as a casual fan friendly encore wrapped up the evening. 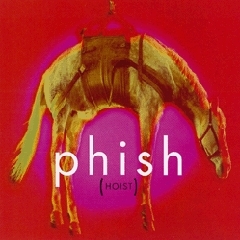 All in all a terrific debut for Phish in 1999 and a sign of the amazing things to come for the band in this oft overlooked, but seminal, year of creative exploration in music. One of the most beautiful Stash jams i've heard, appropriate as a soundtrack to a romantic candlelit dinner. Great Mike bombs in Free! We all got drenched in a pre show storm, BTG was a perfect choice. The entire show from note one was surreal; bomb drops concluded every 1st set number, but for Maze when they musically bantered our minds. 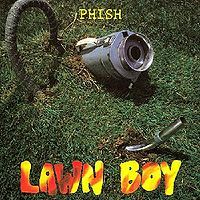 Each set and the encore led off with a cut from Lawn Boy. This show starts with a load of steam. Kicking off the show with Gin is clearly reminiscent of summer 98' and it is a great opener although does not hit those lofty bells Riverport and Ventura hit. The rest of the show is an above average summer warmup show. Throwing some debuts out and getting their feet wet. I was there. I have to agree that I don't have many memories of awesomeness or face-melting music. I drove to the show last minute from Laramie,WY(UW!!!) I blew a tire about 4 hours out on I-70 and while changing the flat a Hi-Po pulled up behind me, got out and asked what the problem was. I told him I had a donut/spare and was ok. He got in his car and away he went. I remember only having a little reefer on me, but still sweet when he rolled on. Amber and I showed up to the lot with maybe an hour to chill. We got drunk on PBR cans and stumbled inside. It's your typical summer shed. No covered seating that I recall. I remember being happy about the Gin opener; Tube was cool(although nothing stellar) BOTT was fun and I knew at the time, that I didn't know it. That's about it for musical memories from this show. Bouncing> Sample Encore= "Let's go get a burrito!" Sidenote: The girl I was with had seen some shows(Spokane-Portland 96) but wasn't a regular. Anyways I mentioned we were rockin the "car-temperature" PBR cans in the lot pre-party style. Well we were CHUGGING em'. So we're dancing sometime in the middle of set I and although it was an over-cast day in Kansas, it is still HOT and HUMID. She stops and says "I need to go to the bathroom." And I'm like(casually) "Yeah, we'll go at set break." Well what she meant was is she needed to throw up. Well, she made it to set break and bless her, she mad it to the tarlette to excercise them PBR demons.